includes double ovens and a five burner gas range. 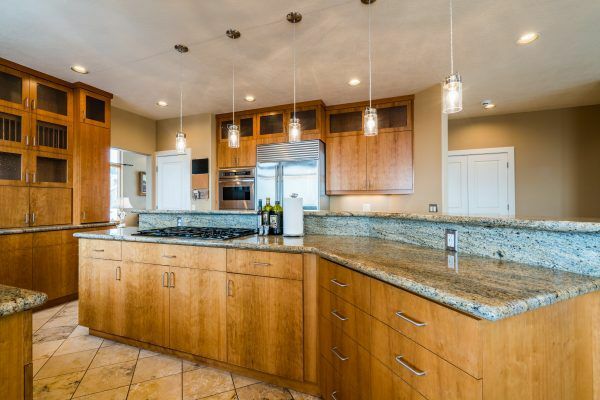 With a plenty of counter and cabinet space this kitchen is sure to impress the chef in your family. This area also offers informal dining area with access to large deck perfect for those summer BBQs or to enjoy the sun setting in the evening. The first floor has a half bath perfect for those busy mornings. Head upstairs to the find the master suite, your new sanctuary. 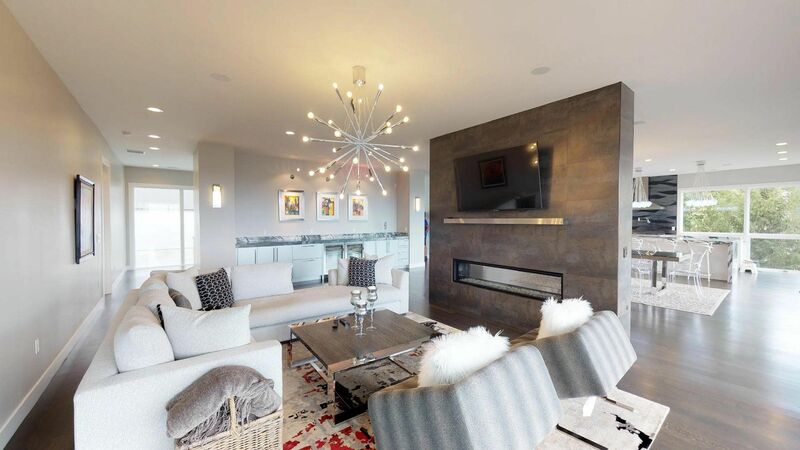 With a fireplace and bay windows perfect for a sitting area you’re sure to enjoy relaxing here after a long day. 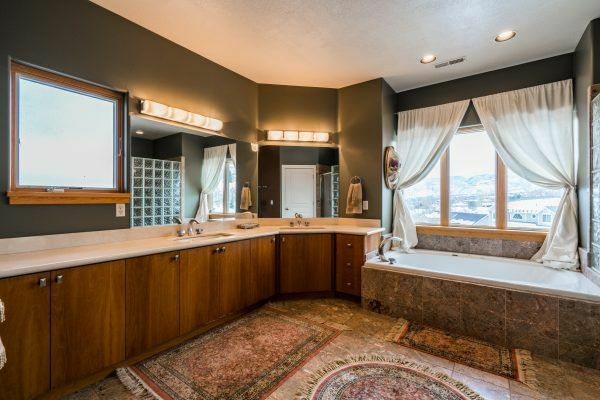 The master bathroom includes his and her sinks, a jetted tub with valley and mountain views, a large walk in shower with his and hers shower heads, his and her closets, and heated marble floors. Continue down the wide hallways to find two more bedrooms, a second full bathroom with his and her sinks, and the laundry room. This floor also has a large open area for the kids to roam free. 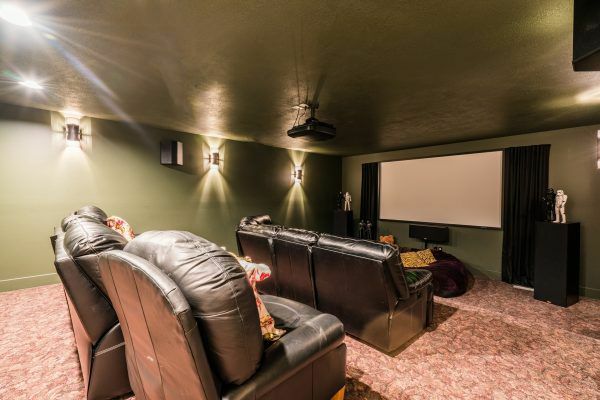 Head down to the walk out basement to enjoy family movie night in the theater room or just relax in the large family room with full daylight windows. With another two bedrooms and a bathroom you’ll have plenty room for your family and guests. Head outside to enjoy the covered patio and the enormous flat backyard. The 3 car garage has plenty of room for your vehicles. 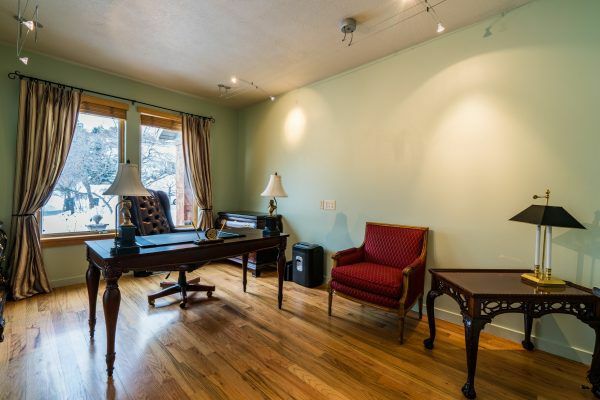 With additional garage space on the lower level perfect for a couple golf carts or side by sides. 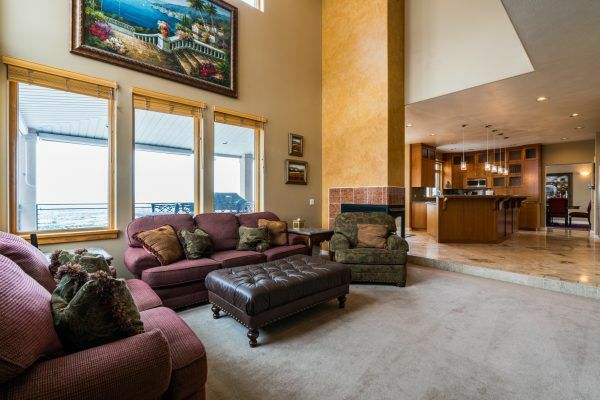 This outstanding home will not last long, schedule your private showing today!